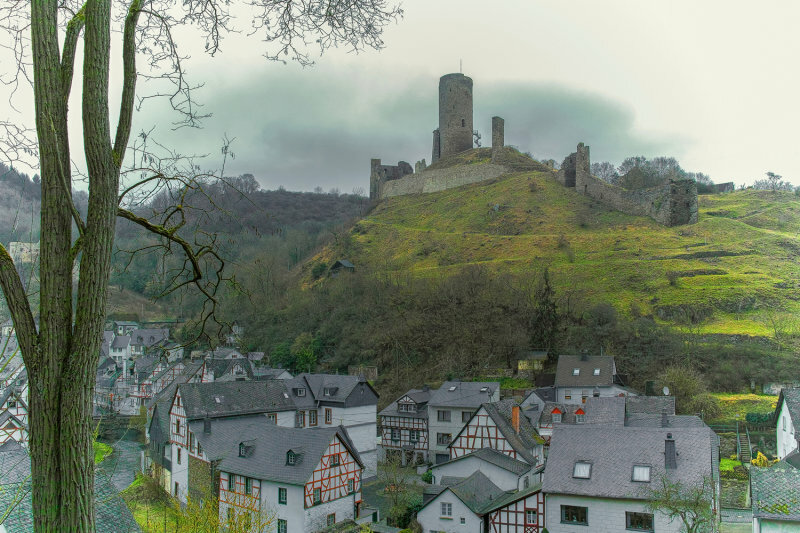 Loewenburg also called Monreal Castle above the village of Monreal. Magnificent composition, Tom. Love the village with the exposed beam homes and what a super back ground. Excellent work. Vote. Very nice view. There has to be a shortcut to get up there. The homes are amazing. V.
Magnificent Tom! So beautiful, with a lovely mood. Superbly composed. Great capture! Love that sky that almost makes this look like a painting. A magical image perfect to illustrate a book of ancient tales ! BV. So smart to have that tree on the left hand side. A masterly composition. Beautiful well composed image with nice subdued light. I like how the castle has a sort of hazy look compared to the well defined houses below. Nicely captured, Tom. V.
such a splendid view of that little town, beautiful picture! nicely composed and framed by the tree.V. Very well composed scene with those great looking houses and castle in view. Love the contrast between the architecture in the village and the castle. The view must be so neat from the castle grounds. Great lgihting, colors and composition. Love your processing work Tom. "V"
The juxtaposition of houses and the castle on high are striking. I like the subdued tones along with the yellows. "VVV"
Belongs in a frame absolutely beautiful. The moody atmosphere makes it a home run. Wow, what a great image, Tom!! Well composed and captured..